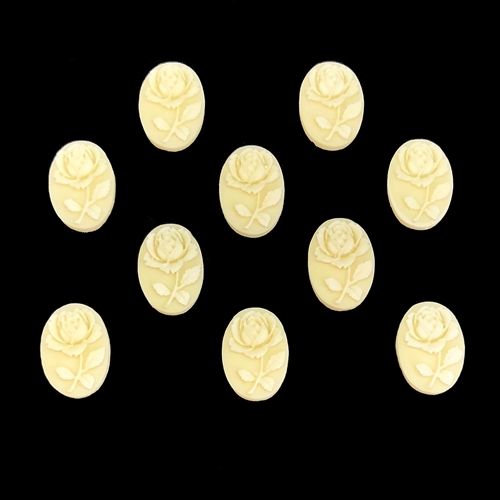 Vintage rose cameos, flower cameos, jewelry making, cream, flat back. Measures 14 x 10mm. Beautiful rose cameos, perfect for assemblage work. Sold by ten (10) piece packages.